My name is Laura. I’m a political science student at the University of Copenhagen in Denmark. 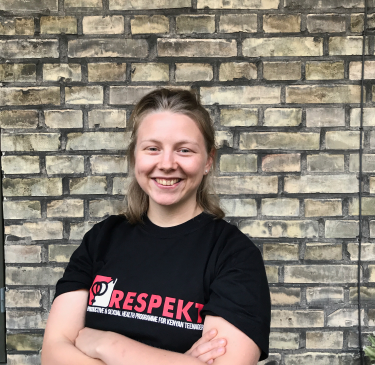 I’m the head of advocacy in the Danish IMCC-team and do what I can to support the cause and the team from the Danish side. I’m motivated by the empowerment that the project brings to youth. Education in sexual and reproductive health is an issue very important to me and I am very thankful to have the opportunity through RESPEKT to be a part of the fight.